Located on the northern face of 2,066 foot Crotched Mountain, Crotched Mountain ski area is amongst Southern New Hampshire's largest. The roots of lift served skiing on Crotched Mountain date back to 1964, when the original Crotched Mountain ski area opened on the northeastern shoulder of the mountain. The original 1964 Crotched Mountain ski trails and lifts are no longer in use. The second and present day Crotched Mountain ski area was constructed for the 1969-70 season, initially under the name Onset. The $1.4 million development opened on December 14, 1969. For its debut season, Onset featured 10 trails serviced by a bubble double chairlift, a regular double chairlift, and a T-Bar. Live music was advertised in the base lodge's Futurity Lounge. The ski area initially did not feature snowmaking. Unfortunately for Onset, the onset of good winter weather never really happened. The ski area struggled mightily during its freshman season, closing for a quarter of February, as well as resorting to farming snow from the woods to keep its T-Bar operating. After over half a decade of struggles, the area was reborn under new management as Bobcat in 1977. Financial woes continued, resulting in Bobcat being sold at auction to group of investors including Waterville Valley's Tom Corcoran for $222,000 on September 14, 1979. Corcoran and Crotched's Tim Gannett then formed a management company to operate both areas as one. 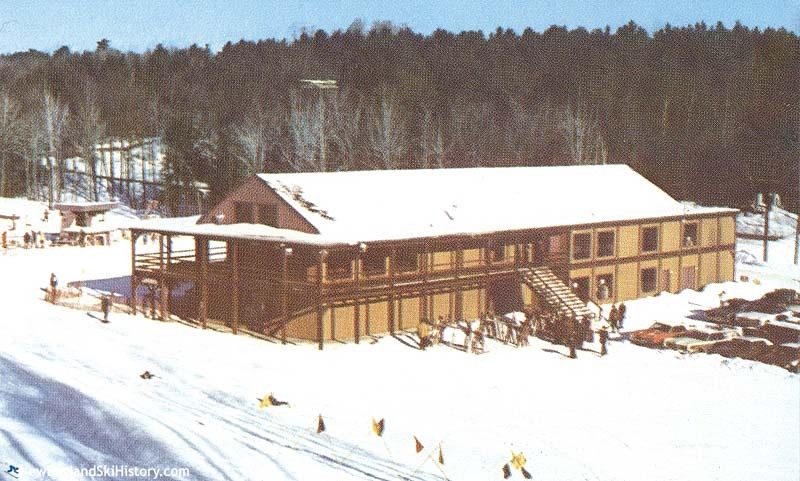 The areas were likely joined by two novice connecting trails for the 1980-81 season, giving Crotched the marketing tagline of being Southern New Hampshire's largest ski area. Onset/Bobcat became known as Crotched West. After multiple poor seasons in the early 1980s, a significant investment was made in Hedco and Snow Machines Inc. snowmaking equipment in 1983. Unfortunately, back taxes and debt were starting to accumulate. Gannett pushed forward with plans for a $5 million condominium development in 1984. To diversify offerings, Crotched co-marketed cross country skiing with Tory Pines starting in 1984-85. Tom Corcoran and Waterville Valley left the ownership group in the mid 1980s and were replaced by local attorney Gordon Snyder in 1987. Gannett and Synder's Trailside Development Inc. was run as the ownership company, placing Ski Crotched Inc. in charge of management. A new CTEC Quad chairlift was installed at Crotched West for the 1987-88 season. Increased debt, the real estate slump, workmanship complaints from condo owners, and a poor 1988-89 season forced Trailside Development Inc. and Ski Crotched Inc. to file for Chapter 11 bankruptcy in October of 1989. $13.9 million in debt was listed, as compared to only $7.5 million in assets. Former owner Jack Sullivan and other local investors pulled together a quarter of a million dollars to open Crotched for the 1989-90 season. A tentative deal to sell the ski area was announced in early 1990. At that time, the prospective buyer was expected to install two new chairlifts, cut 13 new trails, and build a new base lodge between Crotched East and West. The deal fell through however, resulting in the closure of Crotched East and Crotched West in 1990. While this was the end of the story for the original Crotched Mountain (Crotched East), it was only the beginning for Crotched West. 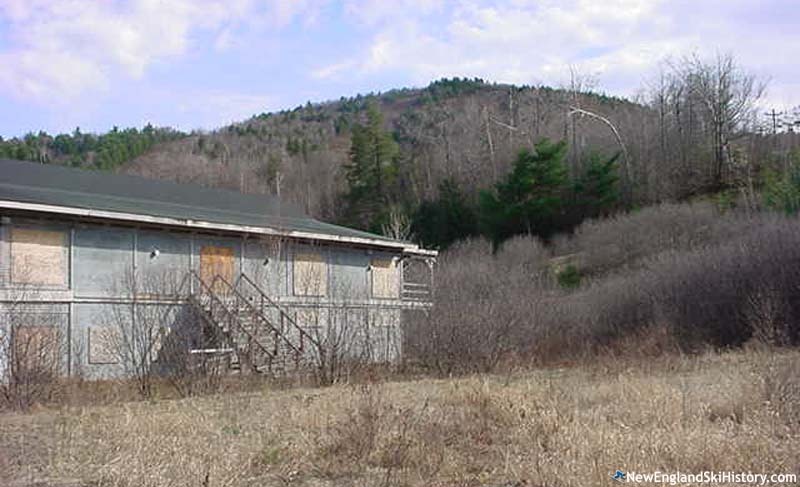 Crotched West sat idle for over a decade, losing its quad chairlift to Jiminy Peak, MA shortly after its closure. In 2002, Midwestern ski operator Peak Resorts became involved in Crotched West. A massive reconstruction project subsequently took place, including reclearing the trails, constructing a new snowmaking system, building a new base lodge, and installing rebuilt lifts from Ski Cherokee, Virginia. Essentially a new ski area, Crotched Mountain reopened on December 20, 2003. While the reopened ski area initially did not climb to the top of the former quad chairlift, additional trails were reclaimed in subsequent years. 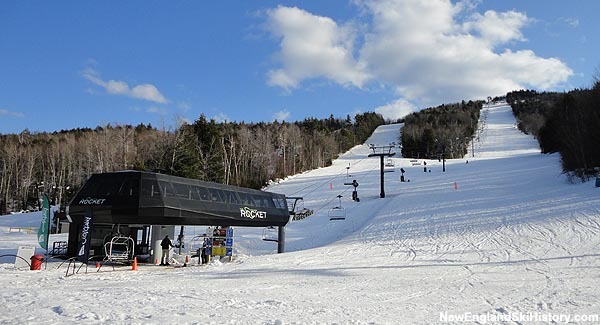 In February of 2012, it was announced that Crotched would be acquiring Ascutney's detachable quad, reopening the upper mountain area. 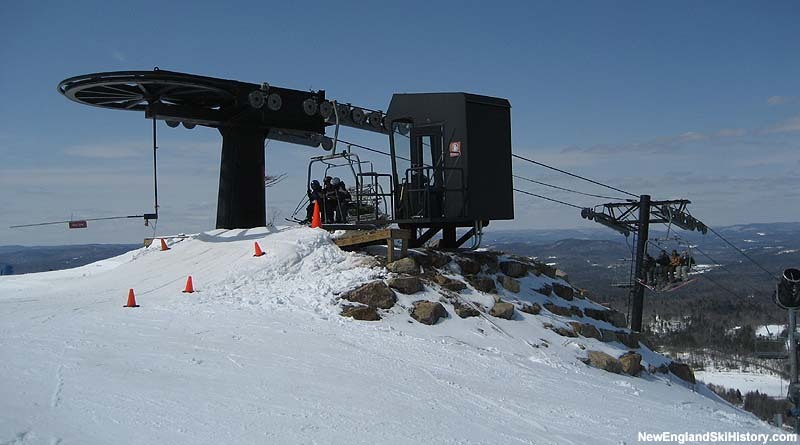 The lift, dubbed the Crotched Rocket, opened on December 1, 2012. "Worked many years there great time fun east and west email any photos would love to see them living up north now miss you all thanks john ski school!!!" "I spent many after grade-school afternoons skiing the original Crotched East side slopes in the mid to late 60's. I recall skiing, sometimes on thin cover, back and forth on the cross trails between Crotched East and Onset. In 1977 we organized and competed in a Hang Gliding meet at Bobcat ski area. After the ski area closed we used to drive/hike up and fly from the rock outcrop on the northeast summit. One day Jeff Burnett flew all the way to Action, Mass. Once the west side reopened in 2003 I was a frequent skier for 10 years until I moved to Vermont. Crotched is a gem and so easy to get to for all the locals that enjoy it from the surrounding towns and beyond. They do a first class job of snowmaking and grooming. Keep up the great work! " "I learned to ski there in 1980 , this brings back a lot of memories "
"I learned to ski at Crotched Mountain on Easy Street and would spend a great deal of time on Willetts Run. I Used the cross trails quite a few times. I loved that there were two sides of the mountain. They skied so differently. I still like the wide open Rocket Trail, But Willetts will always hold a special place in my heart." "I grew up in North Eastern Mass. I first skiid Crotched in 8th grade (1975) at the invitation of the high school coach who was taking the team up for some early season skiing. After 41 years, I still remember that day vividly. I wouldn't return until I was a Junior in high school and was invited to train there on weekends under racing coach Ted Sutton. Another very positive experience. The final wonderful memory I have is winning a USSA sanctioned race there as a freshman in college at nearby New England College in Henniker. I recall the trophy being a pewter beer mug with a glass bottom. Perfect for dorm life at NEC! Love that mountain...."
"i was 5 when i started skiing at onset in 69,I remember the verro family were owners.I lived in francestown,had season passes.stopped skiing there after becoming bobcat.the bubble was awesome." "I learned to ski on the original Crotched Mountain in the mid-70s off the old rope tow on the bottomr section of Easy Street. Worked my way up to T-bar and chair, and eventually down Blitz.Was a season ticket holder in the late 70s for Onset/Bobcat. Vividly remember that bubble chair!I think last time I was there was just after the merger. I do recall taking the cross-trail from east to west."